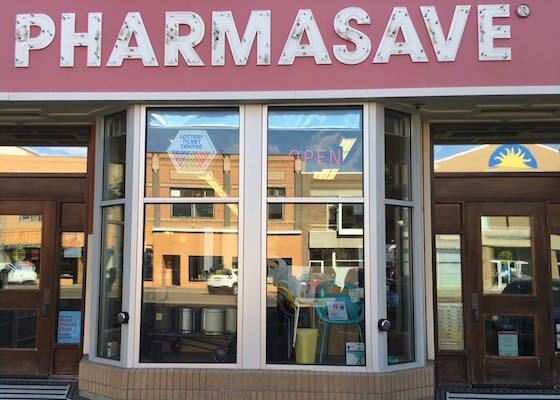 LANGLEY, British Columbia — Two Pharmasave stores in Lethbridge are the first pharmacies in Alberta to participate in PrescribeIT, Canada’s recently launched electronic prescription platform. PrescribeIT allows prescribers to securely transmit a prescription from an electronic medical record (EMR) to the pharmacy management system at a patient’s pharmacy of choice. The e-prescribing platform was developed by Canada Health Infoway, a federally funded, nonprofit digital health organization overseeing the development and rollout of the system. PrescribeIT is “an exciting opportunity for patient care and pharmacy management,” according to Jay Johal, a pharmacy manager at one of the Lethbridge Pharmasaves. “In addition to streamlining pharmacy workflow, it will likely improve patient compliance and convenience,” he added. The system enables more effective medication management because prescribers can transmit a prescription digitally between a prescriber’s electronic medical record and a patient’s pharmacy, reducing the need for paper prescriptions. Pharmasave pharmacist Notasha Borlan noted that the PrescribeIT e-prescribing service integrates smoothly with the pharmacy management system and workflow. “It will increase communication effectiveness between pharmacists and physicians,” Borlan commented. Pharmasave said it’s the only drug store banner in Canada to launch PrescribeIT in two provinces. Besides in Alberta, Pharmasave has four pharmacies in Ontario participating in the e-prescribing service. More locations will adopt the platform going forward, according to Pharmasave, a pharmacy cooperative with more than 640 locations across Canada. Adding e-prescribing to Pharmasave’s digital services gives customers comfort in knowing that their prescriptions are seamlessly managed by their pharmacist and doctor, the drug chain noted. “As the evolution of pharmacy practice in Canada continues to present new opportunities for pharmacy services, Pharmasave is poised to serve customers better than ever before,” Allison Nourse, national director of pharmacy innovation at Pharmasave, said in a statement. PrescribeIT said Pharmasave and Family Medical Centre were the first in the Lethbridge community to begin using the platform, followed by Woods Dispensary, Legacy Medical Centre and London Drugs. In the next few weeks, the e-scripts service is slated to go live at Pharmachoice member locations Skelton Pharmacy, Stokes Pharmacy and Chinook Rx as well as at Save-On-Foods Pharmacies. “We’re thrilled that Pharmasave is embracing PrescribeIT, and we look forward to seeing it continue momentum as it rolls out to additional communities across the country,” stated Michael Green, president and chief executive officer of Canada Health Infoway. Currently, PrescribeIT is working with six provinces — Alberta, Manitoba, Ontario, Nova Scotia, New Brunswick and Newfoundland–Labrador — and 27 community pharmacy companies, representing more than 3,400 pharmacies. The service launched in late August in Huntsville, Ontario, and has expanded to Kingston and the Niagara region in Ontario. This year, plans call for PrescribeIT to launch in more communities in Ontario and Alberta as well as other provinces and territories.